WE EMPOWER PEOPLE TO MAKE THE RIGHT DECISION BASED ON ACCURATE DATA. WE EMPOWER PEOPLE TO MAKE THE RIGHT DECISIONS BASED ON ACCURATE DATA. 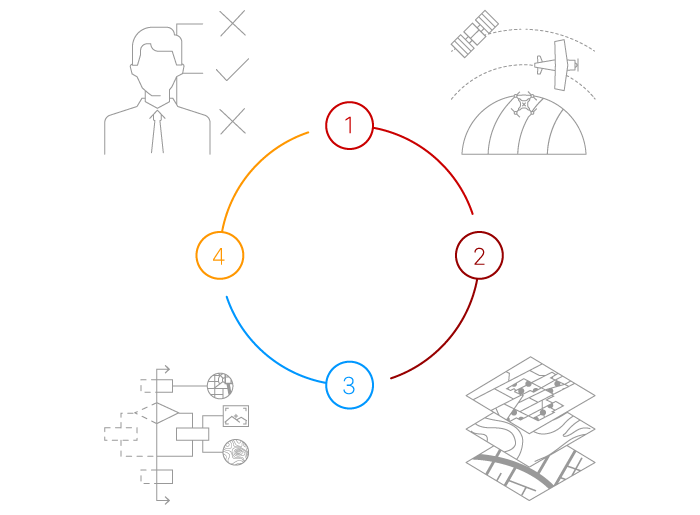 We have passed our geospatial knowledge from generation to generation over the past 80 years. using the most advanced geospatial technology. CartoData® is a mapping company with a full digital production workflow. 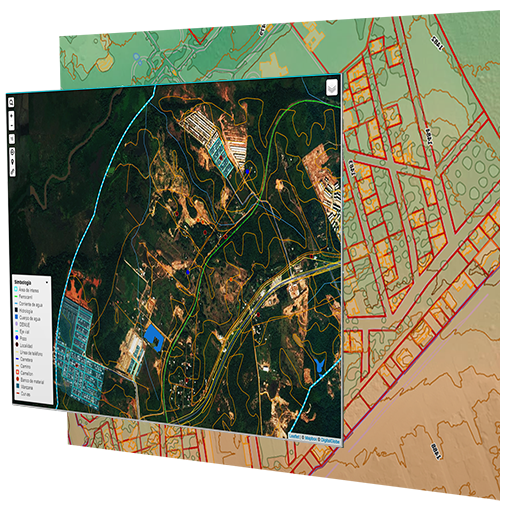 CartoData® offers an integral solution from the acquisition of aerial and terrestrial data, feature extraction, analysis and software development to exploit resulting information. 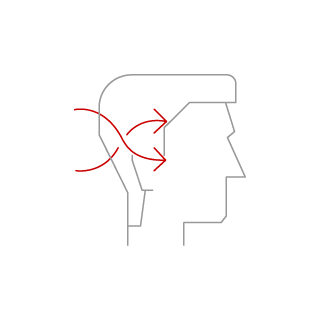 To generate cartography with high precision is necessary to have the latest generation of instruments. with a broad range of sensors and vehicles for the acquisition of geographical data in diverse formats, we give a solution to every situation. Oblix® is a solution that integrates photographic shots, processing and the availability of information in the palm of your hand. Oblix® is composed of an arrangement of 5 cameras of 80mpx, 4 of them oriented at 45° from the horizon and 1 focusing the ground below, which together acquire 400mpx of information per shot. 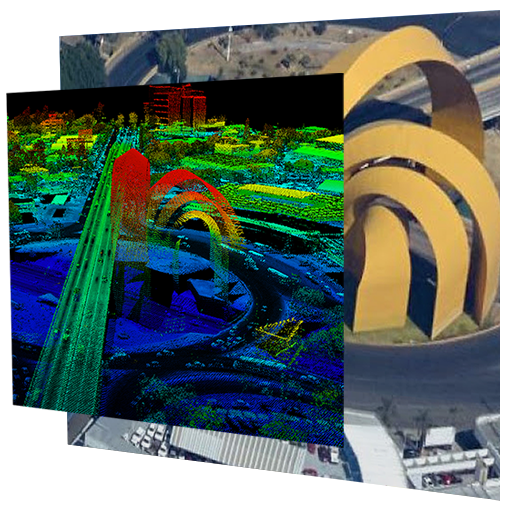 LiDAR® is a technology that generates through laser pulse emissions a terrain model represented by a cloud of georeferenced points (3D). From that cloud you can automatically extract with precision: constructions, trees, posts, cables, terrain points and many other objects of interest. 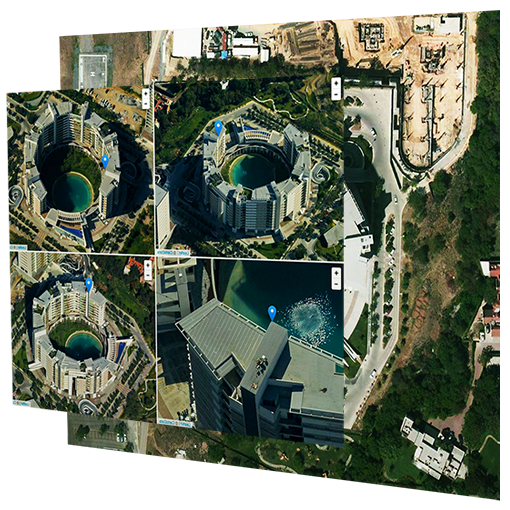 Vision360® is a 360° image and visualization solution that generates georeferenced photographic panoramas at street level. 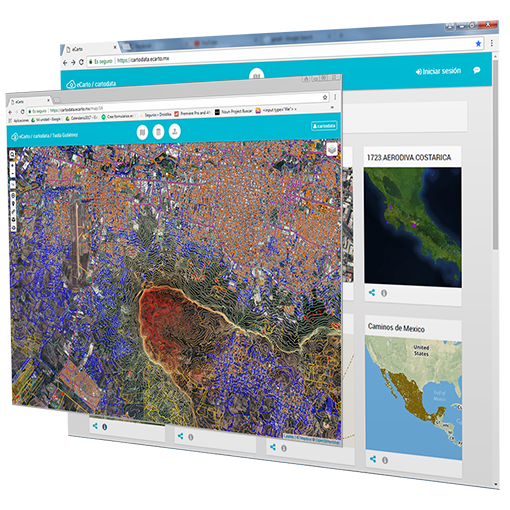 Developed by CartoData and with easy visualization through the geographical visor eCarto. 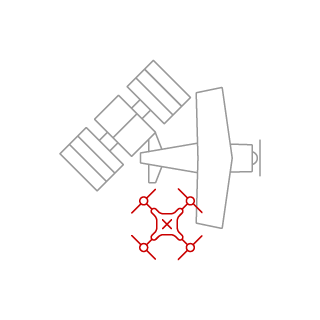 Satellite images in every corner of the world, everyday and with high resolution. Providing a new source of data that was never been available before and personalized to your needs and budget. AU4 is a powerful tool of compilation and stereoscopic editing that allows you to create cartography of high quality and precision in and quick and agile way. 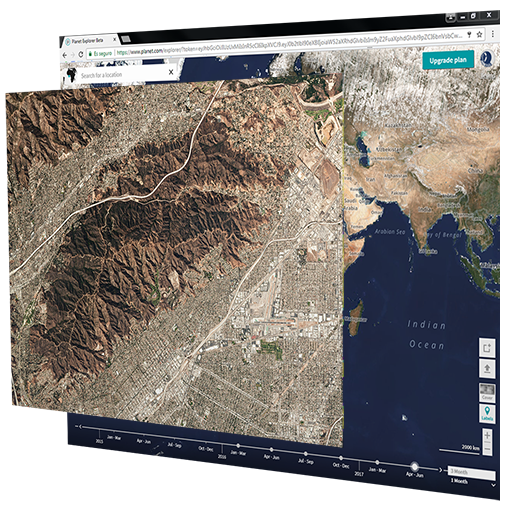 eCarto® is a geographical web platform that allows you to create and provide interactive maps through existing geographical data. 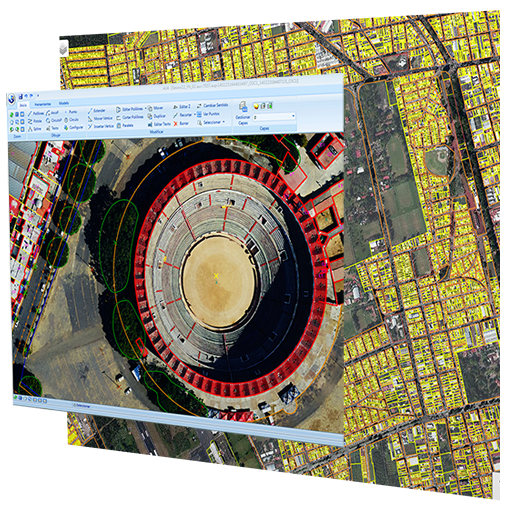 eCarto® can extend its functionality through its API allowing for the creation of real time maps or more complex apps. IN SHORT, WHAT DO WE DO? We empower decision making people with critical data to do whats right. We empower cities in infrastructure development, and also in tax collection without rises on tolls and public spending. Just Contribution. 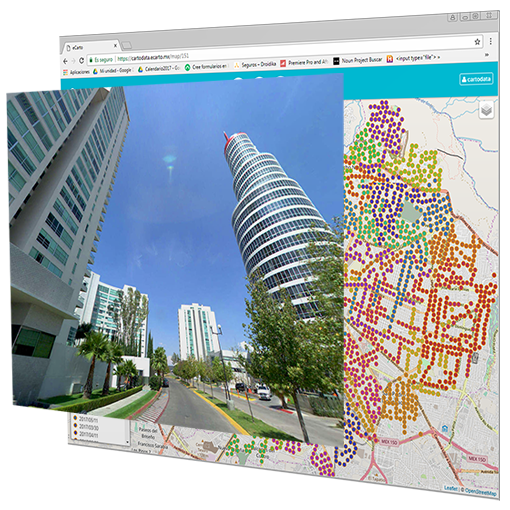 SmartBuilding is a construction progress monitoring service including video, orthophoto and 3D modeling delivered via our cloud service infraestructure. We empower farmers in taking the right decisions. We empower organizations and institutions in taking the right choices.